TrackingPoint, a company that combines gun tech and software to create super-accurate, easy-to-use rifles, announced yesterday it is developing a new system that would give regular people unprecedented sniping powers at distances greater than humans have ever accurately fired a bullet. The farthest confirmed deadly sniper shot traveled about 8,000 feet. TrackingPoint claims its new precision-guided rifle would allow amateurs to hit targets from 3,000 yards--that's 9,000 feet--away, based on improvements in the Xact aiming software its guns currently use. 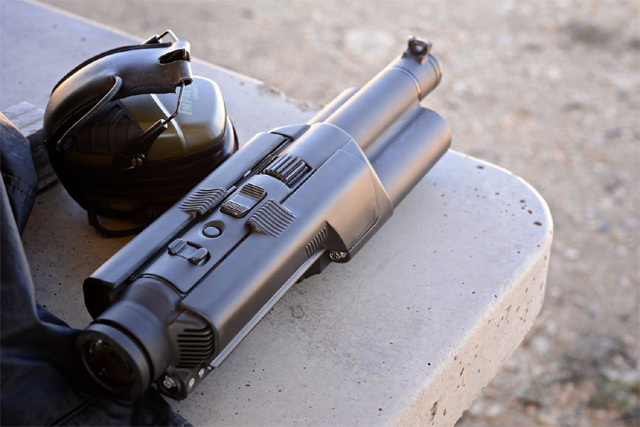 TrackingPoint rifles compensate for human error by letting a shooter tag the target they see in their scope. The scope itself isn't a magnified lens like traditional scopes; it's a camera display screen full of information for the shooter. Once the target is tagged, the gun doesn't fire until special cross-hairs match up to the tag marker. Computers in the rifle set the cross-hairs to make sure the bullet goes where it's supposed to. The new "Super Gun" system promises all that, at a range longer than any human has ever hit a target. The last TrackingPoint rifle went on sale for $22,000, but don't worry: this new rifle won't be commercially available. Instead, the company says it will incorporate lessons learned into future precision-guided rifles.